There are times when we face trials and uncertainty in our day to day living. 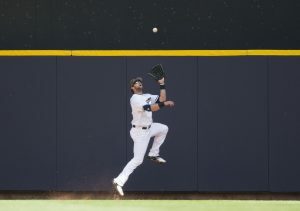 Kirk Nieuwenhuis, outfielder for the Milwaukee Brewers, experienced the kind of highs and lows last season that tested his faith and trust in the Lord Jesus Christ. Nieuwenhuis started the 2015 season on the New York Mets active roster. On May 19th he was ‘designated for assignment,’ meaning he was demoted to the minor league. On May 27th the Mets traded him to the Los Angeles Angels of Anaheim and placed on the active roster. Then, on June 10th the Angels designated Kirk for assignment to actually release him. To complete the cycle, on June 13th the New York Mets claimed him and immediately sent him to AAA Las Vegas before promoting him to the Mets active roster which he stayed on all the way through to the World Series. Nieuwenhuis learned through his experience with Athletes in Action you live for eternity and you think in terms of an eternal perspective. “When you think about it in those terms, this whole baseball thing is not really that big. We will play baseball a short time; but compared to eternity, it is really tiny. 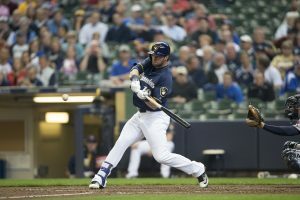 When you put your worth or your identity in Christ, it puts everything in its proper place.” Nieuwenhuis was picked up on waivers on December 23, 2015 by the Milwaukee Brewers for the 2016 season. The summer experience with AIA in Alaska consisted of an AIA team playing local teams. In the process, the teams would meet before each game where one of the AIA players would share a short Gospel message. Then, one of the AIA players would share their personal testimony or story. The game would be played, and it would end with prayer. Kirk’s parents, Bob and Joan, live in Castle Rock, Colorado. He has a sister, Krista, who will soon make Kirk an uncle for a second time. They also make their home in Castle Rock. Bob was involved in the trucking business which took him and the family from California to Salt Lake City to Southwest Texas to the Denver area. Kirk went to Denver Christian High School where he played baseball, basketball, and football. He participated in the weekly meetings of the Fellowship of Christian Athletes high school huddle group. Kirk was a star running back who led his team to a state championship (2004), resulting in receiving scholarship offers from the Air Force, Colorado State, and the University of Colorado. Instead, he chose to accept a scholarship to play baseball at Azusa Pacific University in Azusa, California. He helped take his team to back to back NAIA World Series in 2007 and 2008. Kirk was drafted by the New York Mets in the third round of the 2008 major league baseball draft, and he made his major league debut on April 7, 2012. 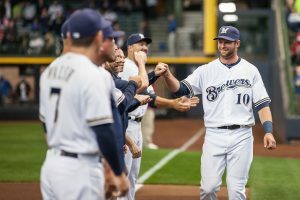 Brewers bullpen pitching coach, Lee Tunnell, shares: “From the first time I saw Kirk in spring training in February (2016), even though we had not talked, you could see a certain aura about him that would tell you he was a Believer. From when we were in chapel together and our conversations, I could describe Kirk as steady and legit (as a Christian). “My wife, Bethany, and I met in 2011,” exclaims Kirk, “I was living in Pasadena, and one evening I was going out to eat with friends from the Azusa baseball team. I thought it was going to be a bunch of guys, but they brought along a few girls. Bethany was one of them. She caught my eye, and we started dating soon after that night. We got married on November 16, 2013. Previous post: Did James Believe In Salvation Through Works?